This page will walk through spring boot REST + JPA + hibernate + MySQL example. Here we will create a REST application that will perform CRUD operation using MySQL. Spring boot provides default database configurations when it scans Spring Data JPA in classpath. 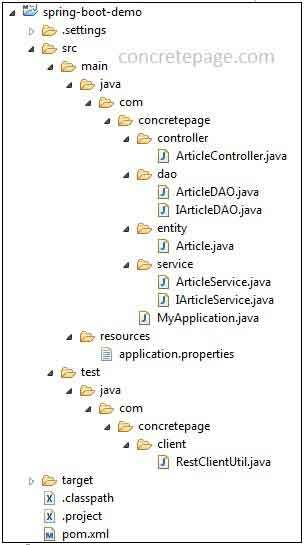 Spring boot uses spring-boot-starter-data-jpa starter to configure spring JPA with hibernate. For data source we need to configure data source properties starting with spring.datasource. * in application.properties and spring boot JPA will configure data source automatically. Spring boot prefers tomcat pooling on first place then HikariCP and then Commons DBCP on the basis of availability. We need not to write spring configuration classes and just by configuring properties in application.properties we are done. In our DAO class we can get instance of EntityManager using dependency injection. To run the application we will create a class with main() method that will call SpringApplication.run() to start the application with embedded tomcat. The class with main() method will be annotated with @SpringBootApplication. 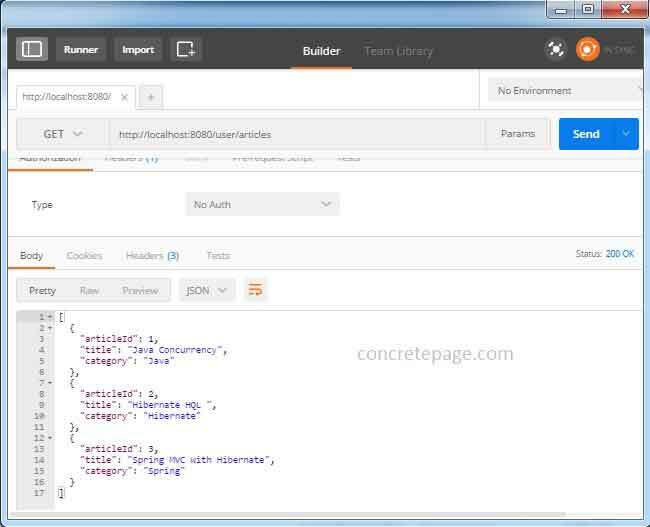 In our application, at client side we will use RestTemplate to consume REST web service. Now find the complete example step by step. We are using following software in our example. Find the database schema with seed data. Find the JPA entity for the given table. Find the maven file used in our example. spring-boot-starter-parent : Parent POM for dependency management. spring-boot-devtools : It provides developer tools. These tools are helpful in application development mode. One of the features of developer tool is automatic restart of the server for any change in code. spring-boot-maven-plugin : It is used to create executable JAR of the application. The properties related to database, hibernate and logging need to be configured in application.properties file. These properties will automatically be read by Spring boot. The data source properties starting with spring.datasource. * will automatically be read by Spring boot JPA. To change the Hibernate properties we will use prefix spring.jpa.properties. * with Hibernate property name. On the basis of given data source URL, Spring boot can automatically identify data source driver class. So we need not to configure diver class. Find the DAO used in example to perform CRUD operation. To inject the instance of EntityManager we will use @PersistenceContext. Find the service class used in our example. Find the controller class that will expose web service methods. Create a class with main() method that will call SpringApplication.run() to run the application. First all JAR dependencies are downloaded and then the project is compiled and then embedded tomcat server is started. Find the client that will consume REST web services. We are using RestTemplate to communicate with REST web service server.